Tales of Graces f art. Click for the full image. 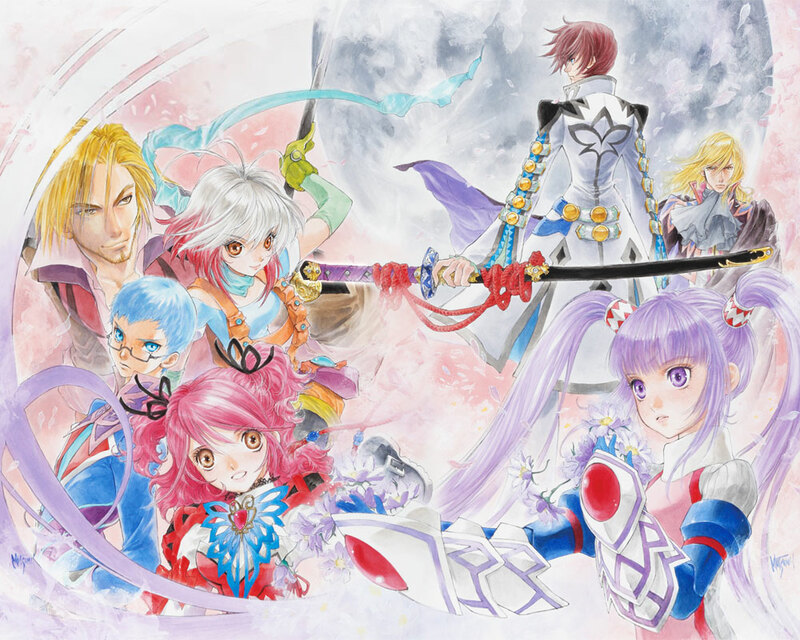 It’s been a long time coming for Tales of Graces f. Originally released on the Wii in 2009 in Japan as Tales of Graces, the first version of the game never made it to our shores. Instead, Namco Bandai decided to remake the game in ‘high definition’ for the PS3, and only release the newest version in the west. Upon the game’s arrival in North America, it was routinely ignored, and some reviewers didn’t even play all the way through the game. That’s why I was happy to get a chance to review Tales of Graces f for the European release. 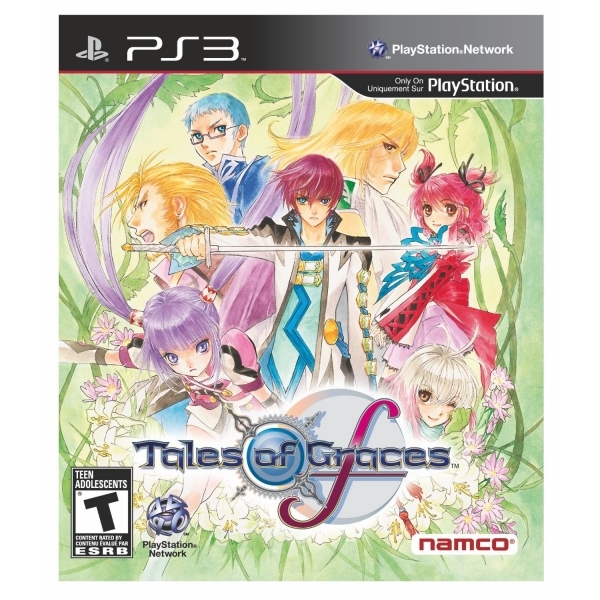 First off, I have to say that there isn’t a doubt in my mind that this is the definitive version of Tales of Graces. For those fans who are concerned about the absence of the Wii version, I must say that it was worth waiting for this re-release. Not only does the main quest span anywhere from 40-50 hours, but you’ll easily spend countless extra hours completing all the side content. While not quite the mammoth that Xenoblade Chronicles is, Tales of Graces still offers the player a lot of different things to do beside the main quest. And once you ‘beat’ the game, you get to play an epilogue that is entirely new content. One thing that can be said with certainty is that Tales of Graces f keeps feeding you new things to do until the very end. Even in the epilogue itself, Asbel (the main character) learns a new ability called ‘Accel Mode.’ That’s right, its a new ability that opens up a whole new tactic for the battle system, and it happens after you beat the last boss. I won’t describe what this ability is because it will spoil the story, but just know that it adds a new element to the battles and is one of the many reasons to keep playing this game until the very end. 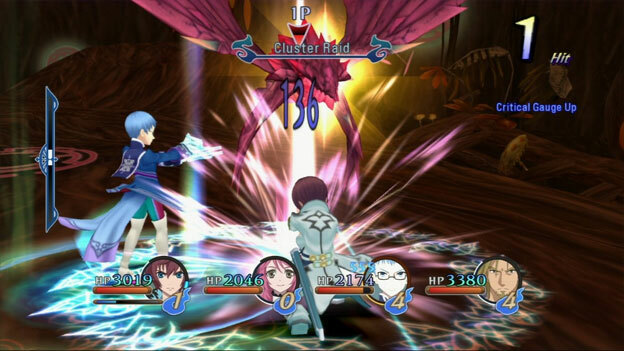 Speaking of the battle system in Graces, what a triumph it is. The game starts out very simply, to give you an easy handle on the way the system controls. 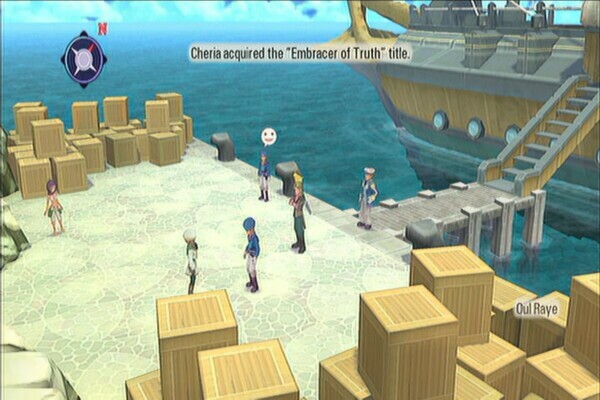 Instead of only being able to move two directions like in older Tales games, the newer system allows full movement, but you don’t actually have complete freedom. You could liken it to a fighting game, like Soul Calibur and Tekken, but with multiple characters and enemies on-screen. Your character still moves in a line, but you can sidestep as well as go backwards and forwards. The only weakness I have found with this system is when you get caught next to the boundary line, you can easily get stuck being pummeled by several enemies at once. Even with this minor annoyance, though, there are still ways to get around it. Full of flash! and bang! The system actually requires a certain amount of twitch reaction. If you want to be able to attack, block, and evade properly, you have to be very quick and have good timing. This is one of the handful of reasons why I love this battle system. It is literally chock full of different skills, abilities, and movements. There are actually different play styles for different characters, but I mainly stuck with Asbel because he is a very well-rounded fighter. The title system is another head on the beast that is this game’s robust battle design. There are literally hundreds of titles to get, and new ones open up during certain story sequences and areas in the game. Each title has a range of different skills to learn, and learning and mastering as many titles is equally as important as gaining experience. You will see these popping up often. The one other thing worth mentioning is the ability to change the difficulty of the game at any point in time. This is seriously one of the coolest features that an RPG can have. I played through the game on the Moderate setting, which is one above Normal. This met my exact craving for a challenging battle, while still being fun without getting too difficult. If you find it a bit too much, you can always adjust it down to what you are comfortable with, which is the beauty of this option. After playing Tales of Graces f, I feel that having an adjustable difficulty should be mandatory in every JRPG in the future.